Let me begin by making this abundantly clear: I have nothing against Al Montoya. Throughout his nine-year NHL career to date, Montoya has been a solid goaltender. In fact, he’s played to a 2.66 goals against average (GAA) and a .906 save percentage (SV%) through his 167 regular season games played to date. What’s more is that in those contests, Montoya owns an impressive 67-49-24 record — a glaring indication of his ability to compete for and achieve team success with remarkable consistency. So, to say that Montoya is undeserving of ice time at the NHL-level would not only be untrue but wildly inaccurate. Yet, with this being said, Montoya should not be tending the Edmonton Oilers’ crease. Yes, Montoya has played well for the Oilers. 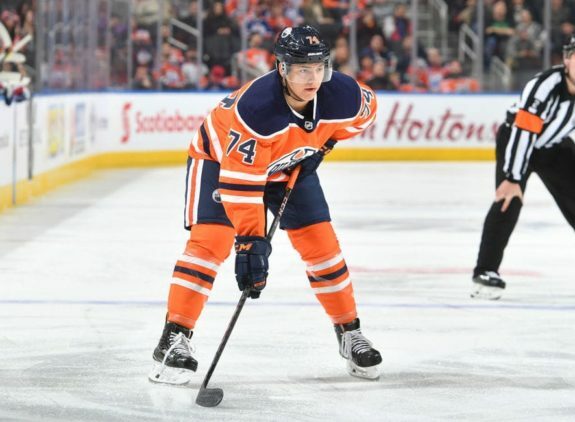 However, his continued presence within Edmonton’s roster has raised a handful of questions with respect to the organization’s general approach as well as its vision of both the immediate and long-term future. The Oilers’ 2016-17 campaign was shocking. After failing to reach the postseason in ten consecutive seasons, Edmonton notched 103 regular season points en route to an inspiring second-round clash with the Anaheim Ducks. Although the team dropped the decisive seventh-game, the Oilers’ startling success generated a wealth of optimism ahead of their 2017-18 campaign. Unfortunately, Edmonton’s current season began slowly and has failed to gain momentum. Deflated by a historically poor penalty kill at home and a lack of depth scoring, the Oilers have become, without a doubt, one of the most disappointing stories of the current campaign. So, given the fact that Edmonton won’t reach the playoffs and will, once again, partake in the Draft Lottery, why is the team providing such a great deal of ice time to veteran players rather than youngsters of substantial potential? No particular case reflects this question more clearly than the continued play of Montoya. Despite the Oilers’ futility this season, Montoya has continued to earn starts. In fact, he has now appeared in eight contests for Edmonton, including five starts — playing to a 2-2-2 record alongside a 3.24 GAA and .900 SV% in those games. However, should Montoya’s ice time not have been awarded to one of the Oilers’ young goaltending prospects? No, Cam Talbot is not enjoying his best season, yet Montoya’s starts could very well have been allocated to Laurent Brossoit — arguably Edmonton’s top goaltending prospect despite enduring a mediocre campaign in his own right. With 27 career NHL games under his belt, awarding Brossoit consistent playing time as the season winds down would not only inspire confidence in the youngster but allow the Oilers to accurately evaluate and determine Brossoit’s future with the organization. Yes, I suppose there is an obligation to play Montoya considering his contract-status and the draft pick moved in order to acquire him, however, as one of the league’s worst teams this season, what — if anything — would Edmonton lose in opting for Brossoit? It goes without saying that the Oilers’ lineup is in need of significant improvement. Desperate for depth scoring as well as skill on the blue line, Edmonton will need to undergo a series drastic changes before the organization can be considered a legitimate Stanley Cup contender. One particular area of importance for the Oilers which has, at times, been overlooked is the team’s situation between the pipes. 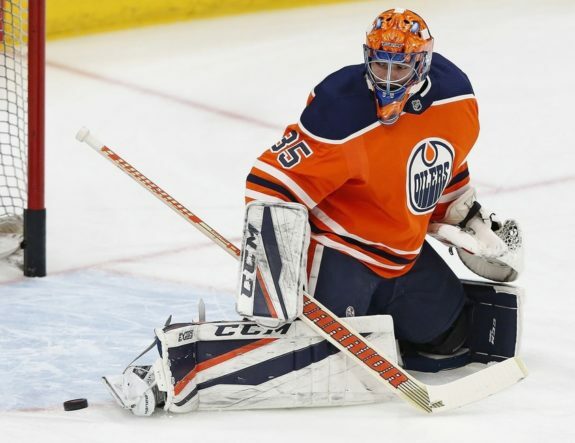 Sure, Talbot and Montoya stand in the crease at the moment, however, both are in need of new contracts following the 2018-19 season and have by no means solidified their future presence within Edmonton’s roster. How does this relate to Montoya and his playing time, you ask? Well given the lost nature of the Oilers’ season, providing other goaltending prospects within the organization with an opportunity at the NHL-level would allow the team to understand what they truly own in the likes of Brossoit, Nick Ellis, and Shane Starrett. 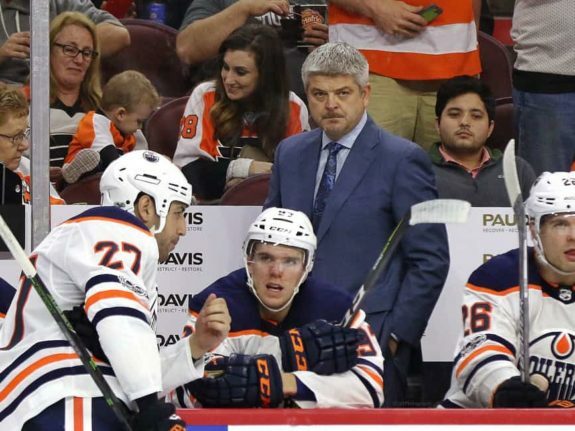 Sure, affording these youngsters with NHL starts might seem a tad premature, however, if both Talbot and Montoya depart Edmonton following the 2018-19 season, the organization will need to ensure the steady and supportive development of its younger netminders. If Montoya earns roughly eight starts with this season, he will have secured valuable ice time which — given the Oilers’ league standing — should have be awarded to one or more of the organization’s young goaltending prospects. Unfortunately, Edmonton appears obligated to provide Montoya with starts as the season comes to a close — an approach which could very well stagnate the development of future Oilers goaltenders. Despite owning a capable backup and potential future starting goaltender in Brossoit, the Oilers acquired Montoya from the Montreal Canadiens on Jan. 4, 2018. At the time, Edmonton found themselves eight points removed from a playoff spot with 41 games remaining in the season — a standing which justified an upgrade to the team’s goaltending depth. The cost? A conditional fifth-round pick in the 2018 NHL Draft, with the potential to upgrade to a fourth-round selection if Montoya played in greater than 30:00 minutes in seven regular season games with the Oilers. Al Montoya has now appeared in at least seven games with the #Oilers in which he has played at least 30 min. Unfortunately for Edmonton, their season continued its nosedive prior to and following the arrival of Montoya. Mired by inconsistency, the Oilers returned to their familiar place in the NHL’s basement in the blink of an eye. Yet, despite the team’s futility, Montoya continued to earn starts and played in his seventh and decisive game on Mar. 18 against the Tampa Bay Lightning. Yes, it’s just a fourth-round pick. However, outside of Ethan Bear’s arrival this season, the Oilers don’t have a single player drafted in the fourth-round or later on their roster. This reality represents yet another major issue which has long plagued Edmonton and is better suited for an article of its own. Seemingly incapable of drafting quality prospects outside of the first-round, the Oilers’ inability to land late-round gems has stripped the team of much-needed depth and created a dependency on signing free agents and the facilitation of trades. So, in acquiring Montoya at the cost of a fourth-round pick, Edmonton may have moved a selection which could have landed them a significant roster player in the coming years. Who knows, maybe the Oilers have become sick and tired of striking-out at the Draft. 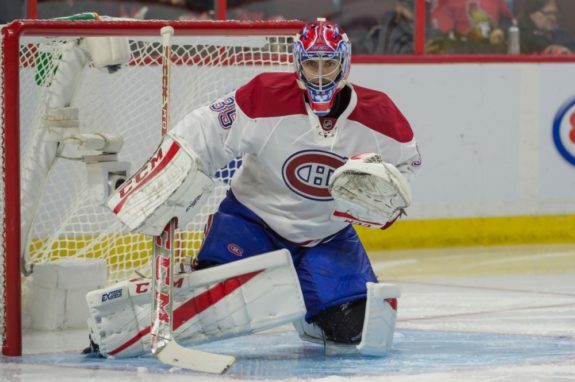 However, dealing such a valuable draft pick remains a high price to pay for a backup goaltender who could quite easily be on the move following a handful of games played in a lost season. What Were the Oilers Thinking? I completely understand the perspective of General Manager Peter Chiarelli when he executed Edmonton’s trade for Montoya. 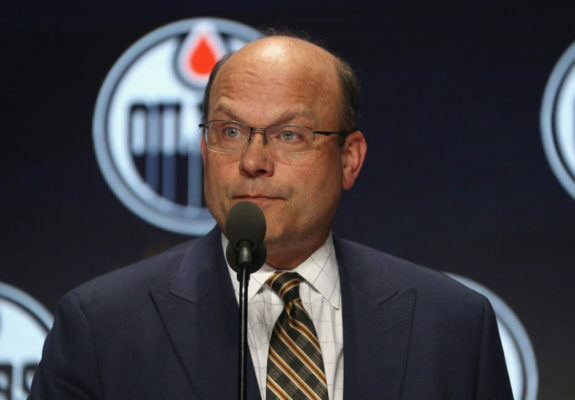 Fresh off of a promising postseason run in 2016-17 and with expectations surrounding the team at a high, Chiarelli undoubtedly felt pressure to improve his team and their standing within the NHL. And, admittedly, Brossoit had struggled as the Oilers’ backup prior to Montoya’s arrival, playing to a 3-7-1 record alongside a 3.22 GAA and .886 SV%. What I do not understand, however, is why Edmonton continued to covet and play Montoya as their season fell apart. Heck, come to the NHL Trade Deadline, the Oilers sat 14 points back of a playoff spot with just 20 games to play. 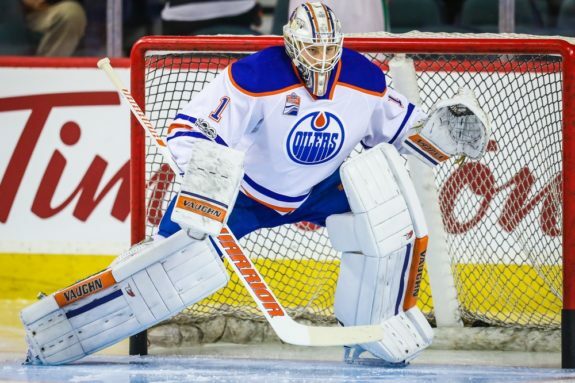 However, despite their futility and a trade market desperate for goaltending depth, Edmonton chose to retain Montoya rather than trade him — a potential transaction which would have landed the team assets in return in addition to creating greater playing time for Brossoit or another young goaltending prospect. What’s more is that following the deadline and with the Oilers abundantly aware of the conditions surrounding Montoya’s acquisition, the team continued to afford the veteran netminder with starts in goal. Does Edmonton place no value on their draft picks, or at least those outside of the first-round? In case you haven’t been paying attention, the Oilers’ inability to draft successfully outside of the first-round in the last decade has contributed directly to their demise. Simply put, Edmonton mishandled Montoya’s acquisition and his presence in egregious fashion. If the Oilers wish to become a legitimate Stanley Cup contender capable of attaining consistent and sustainable success, mismanagement such as this can not occur.